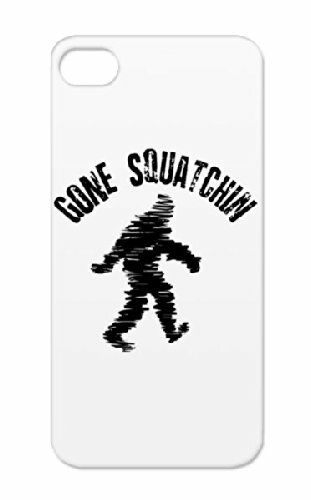 Nowadays our phones are an extension of us and what better way is there to show your buddies you are into Bigfoot than with suave Bigfoot Iphone and Ipad cases? 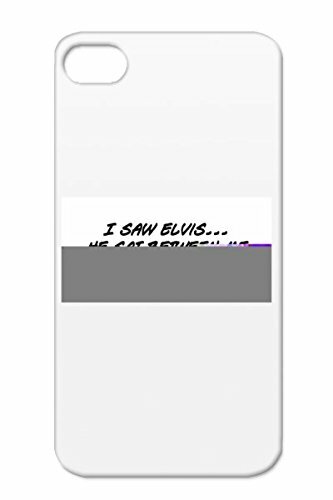 Each of these cases is different from the next ranging from witty Bigfoot pictures to cases with awesome graphics of Bigfoot. 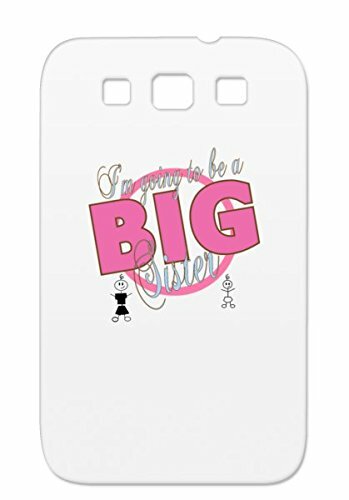 With the four exciting colors that Samsung has launched on the Galaxy S5 Phone, Rikki Knight is excited to introduce a clear naked rubber case (with full image on the back) to ensure that the cell phone color shows on the front and sides as much as possible. 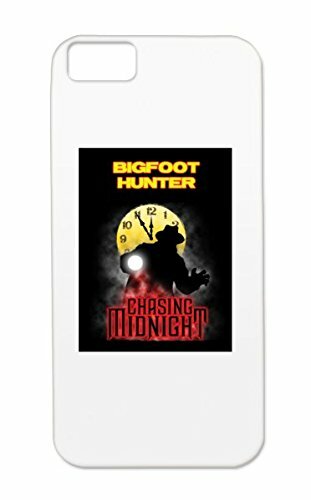 The Rikki Knight Gone Squatchin on Yellow Design Samsung Galaxy S5 Case is the perfect accessory to protect your Galaxy S5 in Style and is form fitted to fit your phone perfectly. The case is manufactured from solid TPU Rubber and has a front bumper to protect your phone. 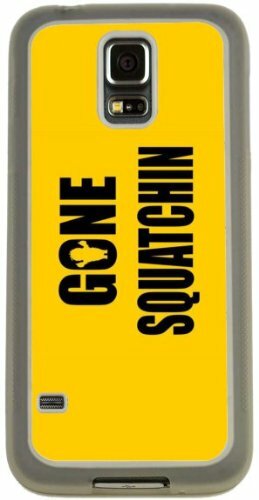 The Gone Squatchin on Yellow Design image is vibrant and professionally printed - This Samsung Galaxy S5 Case is truly the perfect gift for yourself or your loved one. Each Rikki Knight image design is part of a larger collection that can be purchased as a matching accessory to this phone case - such as Wristlets, Compact Mirrors, Messenger Bags, Laptop Bags, Pencil Cases, Pen Holder, iPod cases, iPad Nook and Kindle Cases, Mugs, Mouse Pads, key chains, and many more…. Disclaimer: All images are printed directly into the material - The Texture of the image will always be a flat surface. Any images that appears to be 3d, textured, or glittery are flat printed images and are proudly printed in the USA.